Premier Inn Hotel Stansted Airport is just a short stroll from transport links to the airport, you'll also be well placed to for business and leisure destinations around London and Essex. Parking is chargeable at 8GBP per night. 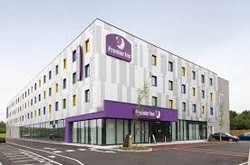 Book direct for the best Premier Inn Stansted deals.